This was not supposed to be a recipe for a moose hamburger sandwich. I was going to make moose sliders, but I got side tracked along the way. 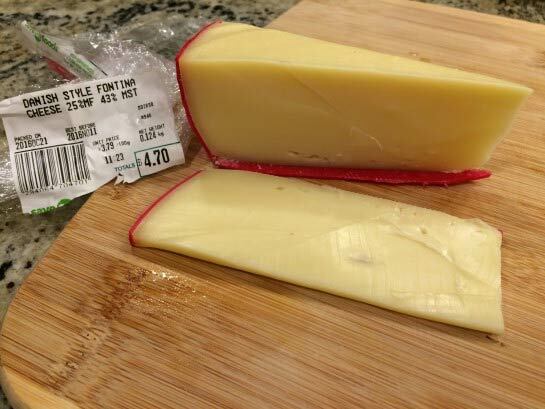 It's a simple and delicious recipe that I prepared on the stove (and oven) using a cast iron skillet. I've recently had a new appreciation for cooking with cast iron fry pans (and Dutch ovens)... and I really am enjoying it. 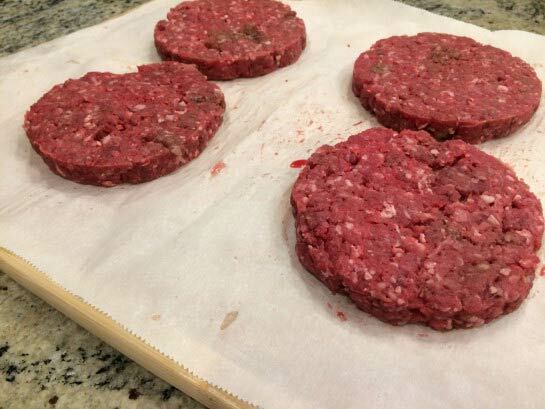 I started my preparation by making four patties from a pound of moose meat. I actually weighed it and each patty was 4.1 ounces. That worked out well didn't it? 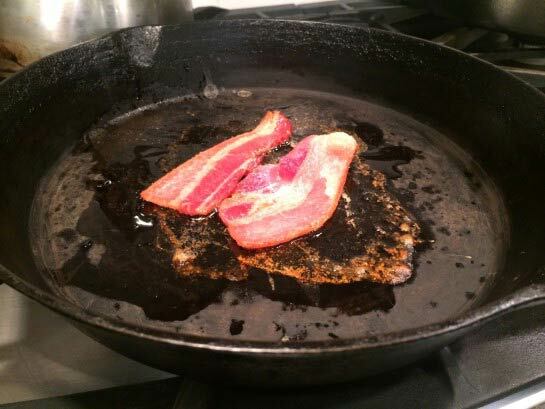 I started by cutting the bacon slice into two so that it would fit the burger, then fried it. Well, truth be known, I baked it in the cast iron frying pan. Set your oven at 350 deg F and bake for about 20 minutes (not quite cooked). No splatter on your stove top that way! At that point I removed the pan from the oven and put it on the stove top set at a medium heat. Once the bacon was almost done I put it aside and sautéed the onions until opaque right in the bacon fat. 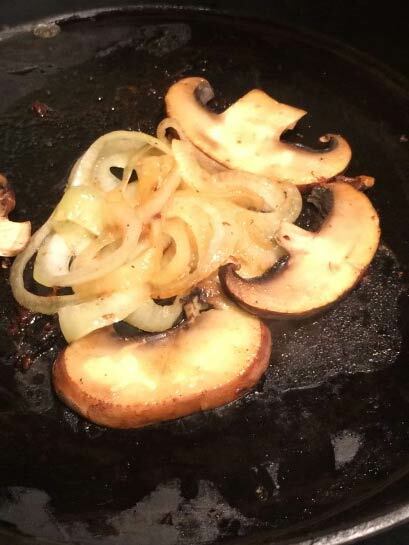 Once the onions were almost done I added the mushroom slices and continued to fry for about 4 minutes. Flipping them periodically. 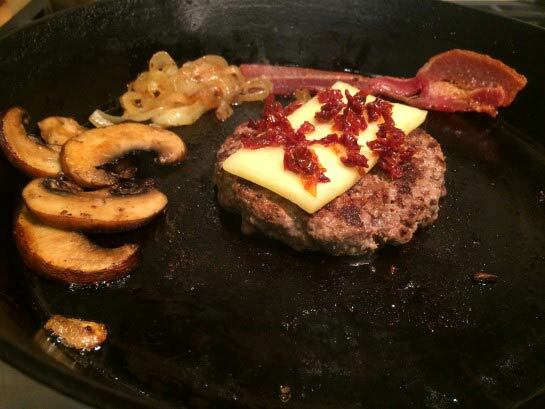 Once complete I pushed them aside (put the bacon back into the pan now too) and added the moose patty. At this time I prepared the bun. I like to toast my buns, so into the toaster it went. My toaster takes three minutes, so when the bun popped up I flipped the moose patty. Added the cheese slice and a little bit of sun dried tomato, and let it continue to cook. Which worked out to be about another 3 minutes. Once the bun was out of the toaster, I added mayonnaise on one side and mustard one the other. Some people like to butter the buns but I prefer mine dry. I like my burgers simple... I want to taste the meat, so not weird sauces on mine (IE: no barbecue sauce or anything like that). 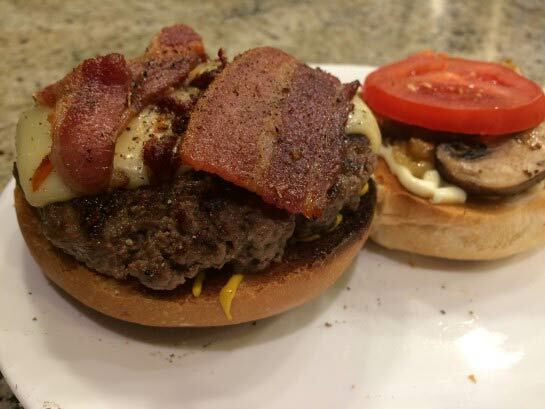 I placed the meat on the mustard side of the bun and placed the bacon on top of that. On the other side of the bun, I added the sautéed onions, mushrooms and a fresh tomato slice. I topped the whole works off with a sprinkling of salt and fresh ground pepper. I thoroughly enjoyed this moose hamburger and washed it down with a pint of good local ale.